Keller Mortgage will Save You Thousands! Keller Mortgage was designed to help you save thousands on your real estate transaction. The Keller Mortgage ZeroPlus loan is ONLY AVAILABLE THROUGH KELLER WILLIAMS AGENTS. 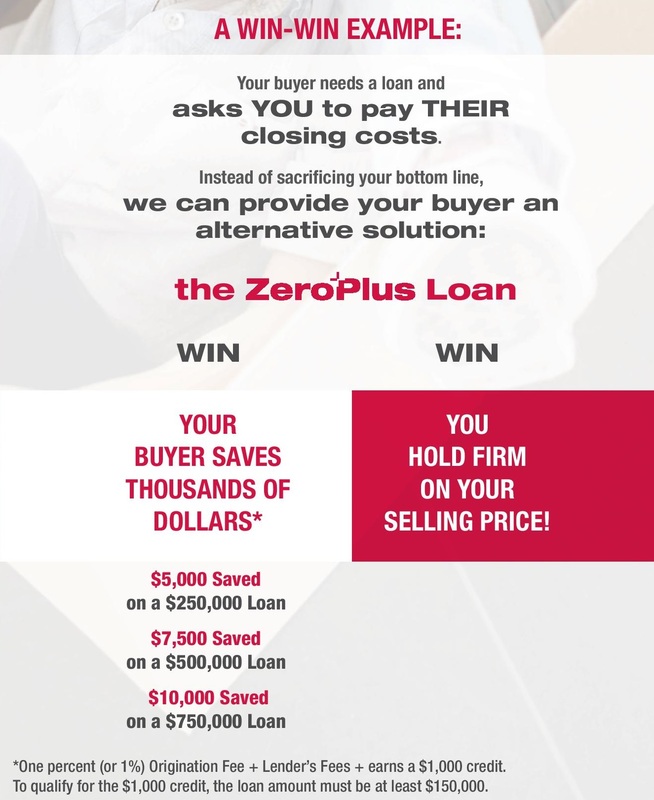 How Can the Keller Mortgage ZeroPlus Loan Save You Thousands? Traditional mortage lenders charge fees to cover the costs of physical offices, advertising, expensive lead-gen services, and big marketing agreements. Keller Mortgage has eliminated the costs in the paragraph above. The Keller Mortgage business model makes it very difficult for competing lenders to match the ZeroPlus loan, the business model was streamlined in order to attract more customers to Keller Williams real estate agents. You will use our Agents’ Keller Williams App and the Keller Mortgage online process to seamlessly connect the mortgage process and purchase transaction. You can verify credit, complete applications, connect to bank accounts and upload docs all with the touch of a button. Keller Mortgage’s Loan Officers (LOs) average 9+ years in the industry and 20+ loans per month (Traditional LOs average 2.4 loans per month). Keller Mortgage is a high loan volume, low margin lender. Keller Mortgage does more loans than standard mortgage lenders so our customers benefit. Keller Mortgage is only waiving lender fees, not all fees. Certain officers, directors, and owners of Keller Williams Realty, Inc. have ownership interests in Keller Mortgage. You are not required to use Keller Mortgage. Please read our Affiliated Business Arrangement Disclosure HERE.